Dhananjay Punekar presently develops content for a slew of portals, including Market Size Forecasters and Algosonline. 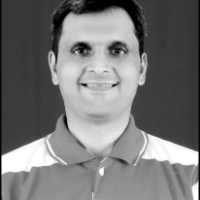 A post graduate in mathematics and business administration, he worked in Infosys BPO Limited prior to switching his professional genre. As a content writer, he currently writes articles pertaining to the latest industry news, business trends, and market research. Probiotics: The mood alleviating elixir to combat depression or an overrated additive with intangible effects. Nestle & Starbucks sign $7.2bn pact to better coffee sales in U.S.